Robin Barr, a Music in Hospitals & Care Local Ambassador volunteer, raised a staggering £4,900 through his Fit as a Fiddle Challenge for Music in Hospitals & Care Scotland during the 70th anniversary celebrations in 2018. The challenge saw Robin conquer 7 hill walks across his beloved home in the Orkney Islands. 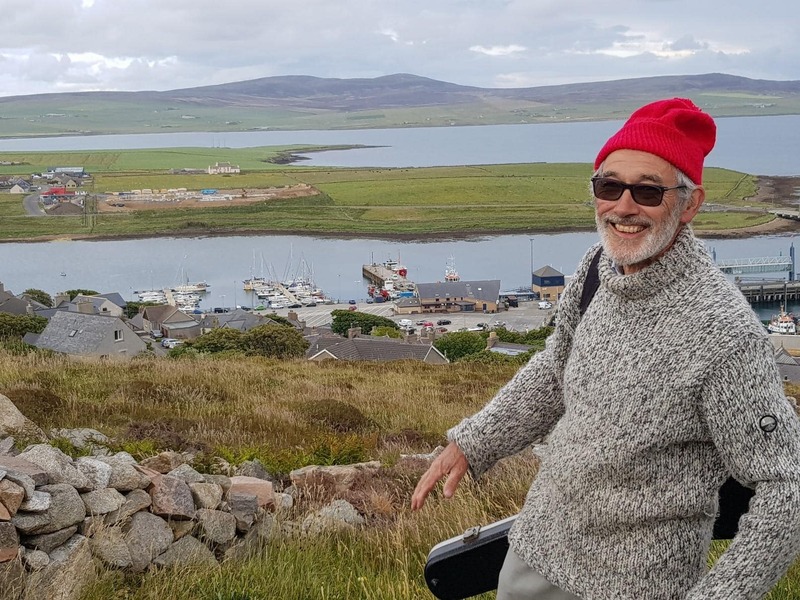 With much enthusiasm and tireless energy also Robin involved local press and media including Radio Orkney and Orcadian News to spread the work about his efforts and the work of Music in Hospitals & Care. Congratulations and many thanks to Robin for this fantastic achievement, proving he is as fit as a fiddle in his own 77th birthday year.